Three separate operations rooms to combat ISIS were established last week. It is quite clear that each actor wishes to control the operation to liberate Sirte, rather than genuinely cooperate with its adversaries. On 5 May, the Presidential Council issued its first resolution, establishing a special operations room for military operations against ISIS in the area between Sirte and Misrata. 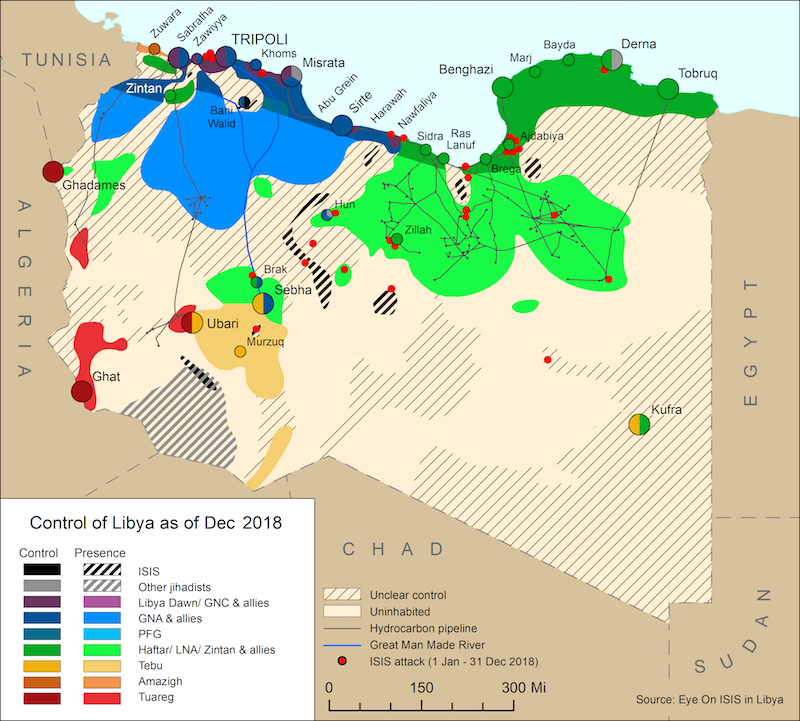 Although the move was widely criticised by Khalifa Haftar/Libyan National Army (LNA) supporters, the decision has left the issue of command over the east and southern fronts open for now, likely as an entry point for cooperation with the LNA. Speaking at the Arab League in Cairo on 8 May, Government of National Accord (GNA) Prime Minister Fayez Al Serraj said Libya needs support in the battle ISIS. Serraj called on the international community to help Libya bolster its fight against terrorism, urging the lifting of the current arms embargo and the release of funds that remain frozen under UN sanctions. “It doesn’t make sense that the international community supports our war against terrorism, and forbids us from arming ourselves,” he said. Despite the convergence of rival Libyan factions on Sirte for a joint battle against ISIS, political divisions and latest developments mean that the likelihood of conflict between rivals is still high. On the same day (5 May) that the Presidential Council formed its special operations room for the coming battle in Sirte, the LNA issued a communiqué to all soldiers in the western region, directing them to observe the command of the LNA’s western region operations room. The LNA also warned that enemy militias were planning assassinations that would target military and police personnel in Tripoli. The city had been gripped by a series of rumours regarding the assassination of more than 11 security personnel, which were confirmed to be false on 8 May. Meanwhile, Khalifa Ghwell, leader of the hard-line faction in the now-defunct General National Congress (GNC), created another special operations room for the anti-ISIS campaign on 7 May. The new GNC operations room also includes military officers from Misrata’s Military Council, highlighting important divisions in the ranks of Misratan military. Colonel Mustafa Al-Sharkasi, spokesperson of the new operations room claims that the LNA and ISIS are jointly operating, and that LNA forces attacking Sirte are mainly Qadhafi loyalists. 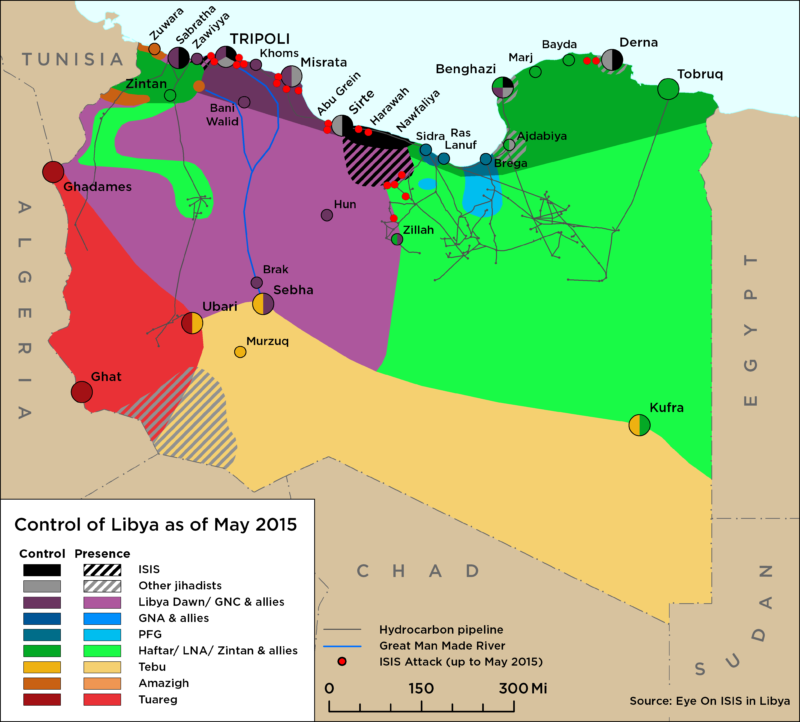 On 8 May, the Misrata Municipal Council established a new crisis committee to manage security issues and respond to imminent threats, most prominently ISIS. In Benghazi, the Libyan National Army (LNA) has taken full control of the port and discussions with local authorities on the resumption of shipping are ongoing. However, pockets of ISIS militants, Ansar Al Sharia fighters and the Benghazi Revolutionary Shura Council remain in the areas of Sabri and Souq Al-Hout, which are adjacent to the port. Fighting is also ongoing in southern Benghazi, where militants are hemmed in by the LNA.